Phil Crews, professor of chemistry and biochemistry. Darrell Long, Malavalli Professor of Storage Systems Research. 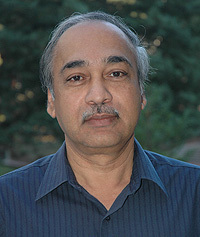 Pradip Mascharak, professor of chemistry and biochemistry. Three scientists at the University of California, Santa Cruz, have been awarded the distinction of AAAS Fellow by the American Association for the Advancement of Science, the association announced this week. They are Phillip Crews, professor of chemistry and biochemistry; Darrell Long, professor of computer science in UCSC's Baskin School of Engineering; and Pradip Mascharak, professor of chemistry and biochemistry. Election as a fellow is an honor bestowed upon AAAS members by their peers. The association's council voted to award this honor to 486 members this year in recognition of their distinguished efforts to advance science or its applications. The new fellows will receive a certificate and a commemorative pin during a ceremony at the 2009 AAAS annual meeting in Chicago. There are now 29 AAAS Fellows on the UCSC faculty. Crews was recognized for "distinguished contributions to the fields of marine natural products and organic structure analysis." 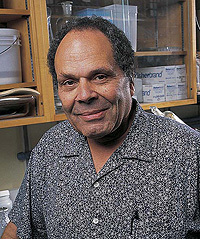 He is among the pioneers in the exploration of the chemistry of marine natural products, having spent decades investigating the pharmacological potential of compounds derived from marine sponges, fungi, and other organisms. Earlier this year, Crews received the 2008 Research Achievement Award from the American Society of Pharmacognosy. Long, the Kumar Malavalli Professor of Storage Systems Research, was honored for his contributions to computing systems, particularly high-performance storage systems. He directs the Storage Systems Research Center in the Baskin School of Engineering, a leading center for research on data storage and storage systems. Long has broad research interests in the area of computing systems, including operating systems, distributed systems, high-performance storage systems, fault tolerance, performance evaluation, mobile computing, and security issues. 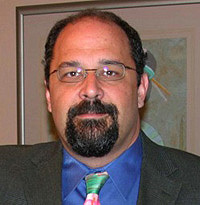 He serves as associate dean for research and graduate studies in the Baskin School of Engineering. Mascharak was recognized for "distinguished contributions to the field of bioinorganic chemistry, particularly in understanding how metalloenzymes work." His research focuses on enzymes that contain metal ions (metalloenzymes), with the goal of elucidating the mechanisms of the complex biological transformations that take place at the metal-containing active sites of these enzymes. Mascharak's group is also investigating the use of metal nitrosyls as agents in photodynamic therapy, in which light triggers the release of therapeutic doses of nitric oxide at targeted sites, such as localized cancers. The American Association for the Advancement of Science (AAAS) is the world's largest general scientific society, and publisher of the journal Science. AAAS was founded in 1848 and includes some 262 affiliated societies and academies of science, serving 10 million individuals. Science has the largest paid circulation of any peer-reviewed general science journal in the world, with an estimated total readership of 1 million.